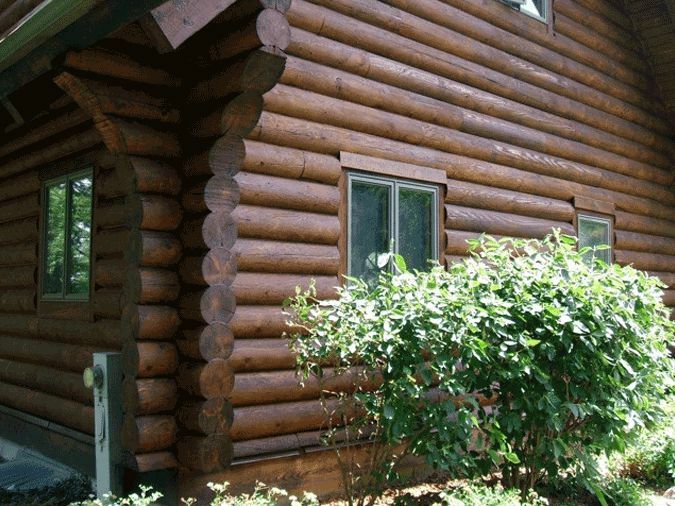 This log home is located near Hampshire, Illinois in the northern part of the state. It has some nice design features that make it attractive. However, the west side of the building was in rough shape. 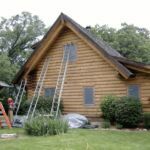 The gable end had little to no shade and the sun had compromised the old finish. We met with the owners, Karen and John Curtin, and created an action plan. 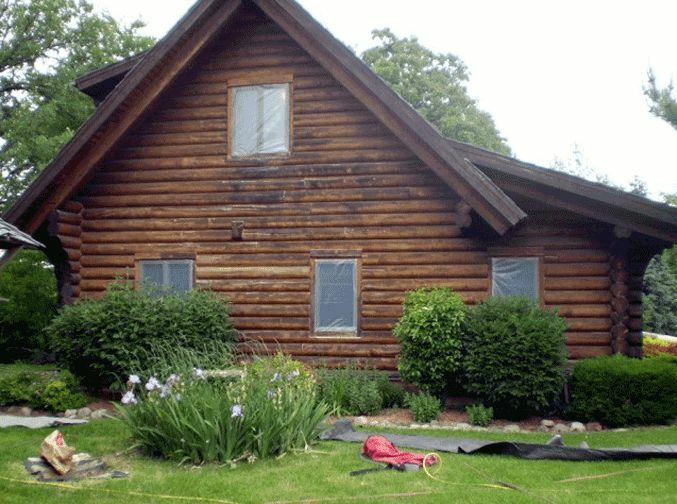 They didn’t want to see the home where they had raised their children fall into disrepair. Over time, the stain became so deteriorated that the wall was basically unprotected from the elements. Within the space of about ten years, some logs became rotten. 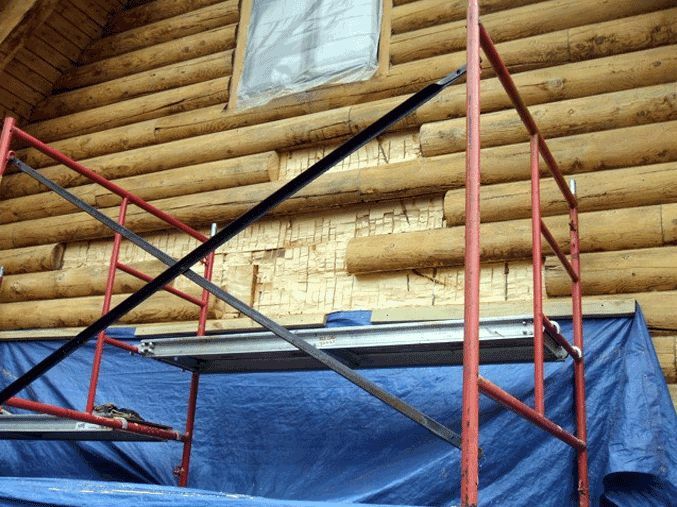 Most of the logs that rotted had significant up-facing “checks” or cracks in them. 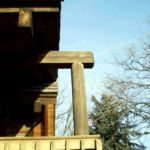 “Up-facing” means that the cracks are on the upper side of the log where they can readily catch the rain. Work complete. 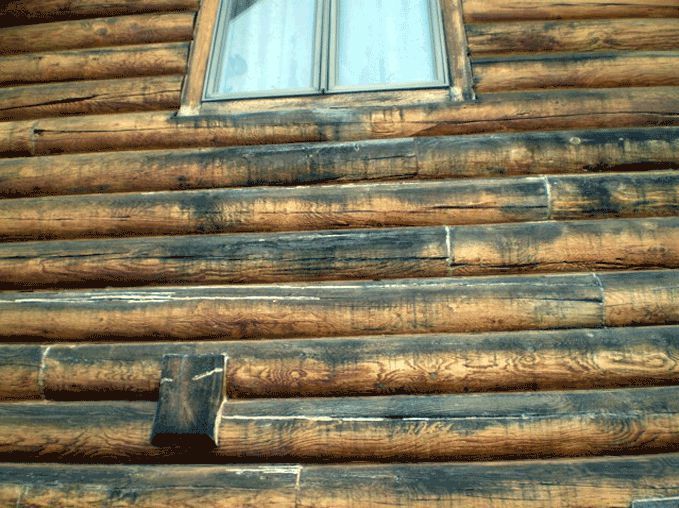 Notice that that the beam protruding through the wall was eliminated because of the potential for rot. 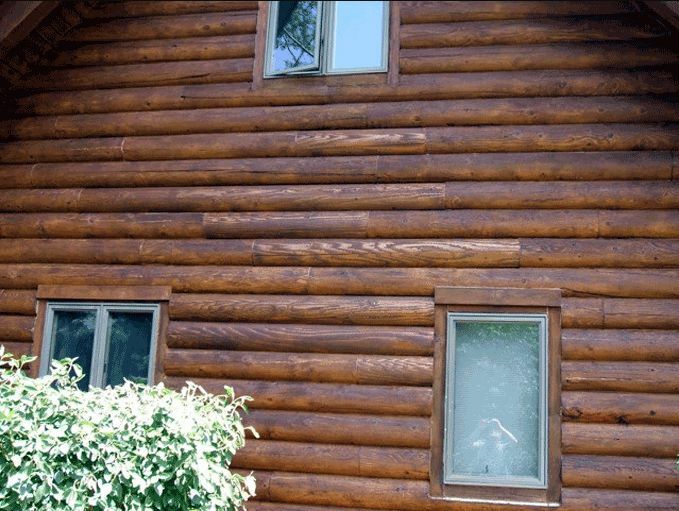 After the cedar half-logs were installed it’s hard to tell which ones they were once the house was stained. 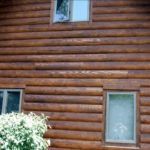 The black on the logs shows the start of wood mold, which can lead to wood rot. This was the area where we found the rotted logs. 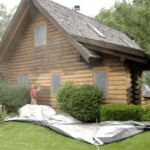 Getting ready to sandblast the exterior logs. The blasting process has begun. Almost done with this wall. 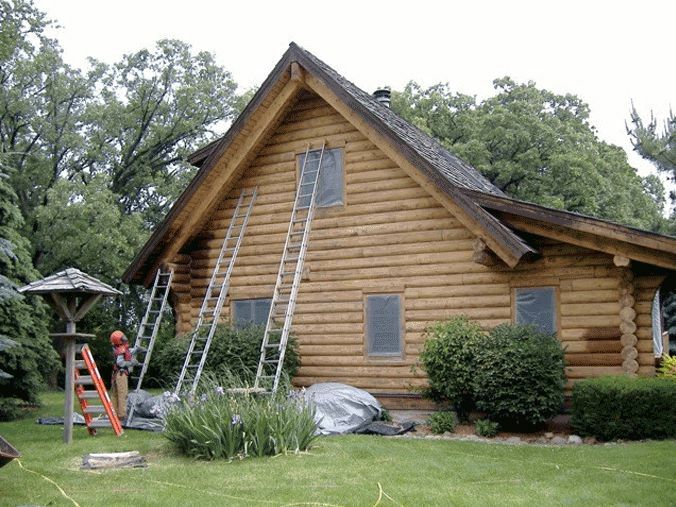 Setting up to remove the rotted logs. 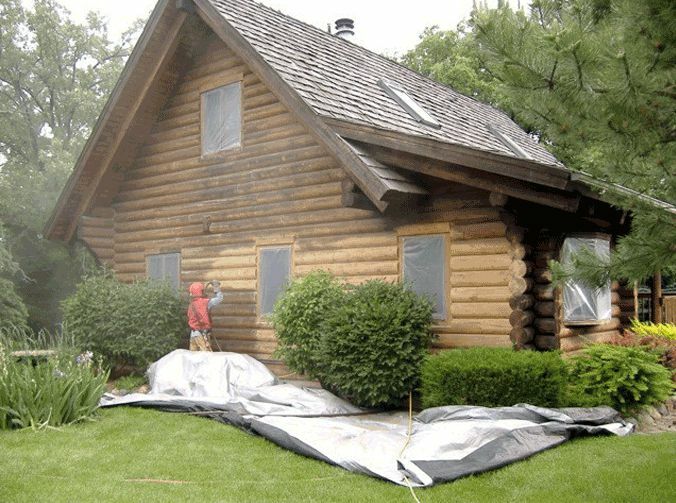 Notice the tarp that is set up to protect the garden below. 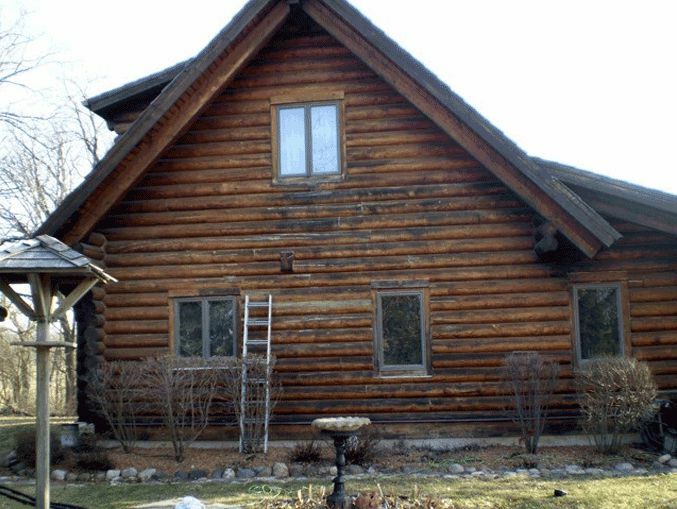 Logs removed and ready for cedar half-log replacements. 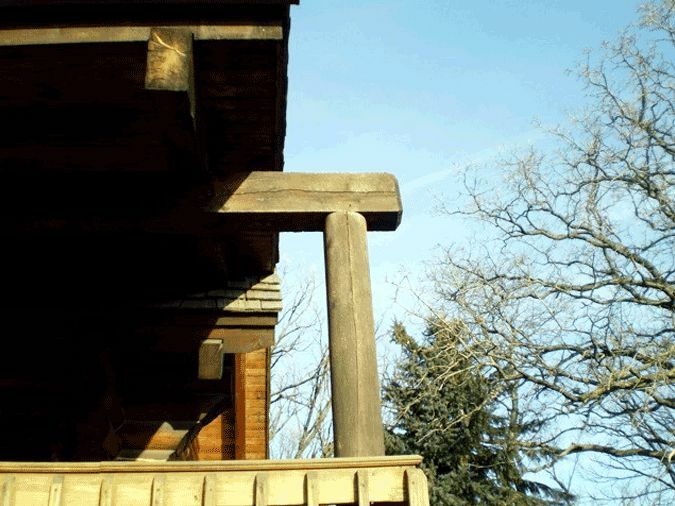 This beam should not have been allowed to extend into space, uncovered by the roof. 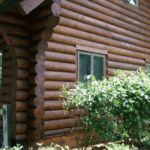 Some log homes are built using what’s called “turned logs”. These logs are run through a lathe where they are turned into logs of similar shape and diameter. 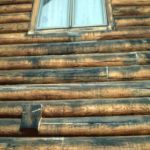 In our 40+ years of experience doing log home restoration work, we regularly see rot like this in homes built from turned logs. Why? Turned logs tend to check more. 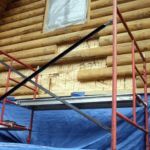 This checking can contribute to rot when logs are allowed to fester over time. 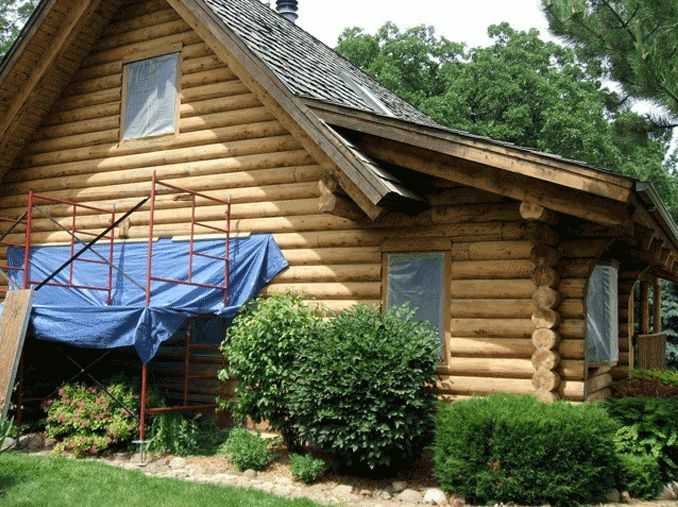 Learn more about what you can do to protect your logs from this fate. 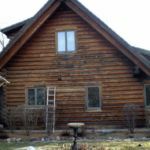 Click here for information on filling checks and cracks in logs. 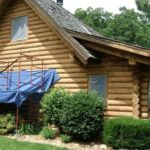 Looking for a company that knows how important it is for you to have your log home repaired the right way. Contact Edmunds & Company and talk to someone who’s been doing this work for many years. 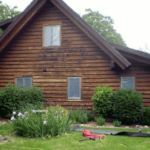 Or call 715-373-5744 to get some answers to your log home questions.